An surface and underground Cu-Mo-Au-Ag mine located in secs. 27 & 28, T5S, R26E, 9 miles N of Safford, on private property. Discovered 1957 by prospectors. Unpatented claims extend into secs. 7, 8, 17-19, 21, 25, 26, 29-31 of T5S, R26E. Patented claims extend into secs. 22, 23, 26-28, 33-35 of T5S, R26E. Section 21 is a state lease in T5S, R26E. Owned by the Phelps Dodge Corp. (1960). Additional names that apply to this property: BLM patented claims MS 4579; Bryce; Greater Arrowhead group. Mineralization is an irregular and massive ore body 1200 meters long with a depth to top of 740 meters, and a thickness of 114 meters. The ore body is hosted in quartz monzonite and diorite. Ore control was NE fractures and dikes. Ore concentration was supergene enrichment. Alteration was hydrothermal and oxidation. Area structures include the NW-striking Butte Fault. Workings are 762 meters deep. Optioned October 1957 from Ruskin Lines by Phelps Dodge. Began drilling November 21, 1957 and exercised option to purchase in 1960. Began shaft sinking and underground development November 1968. By July 1979, had drilled 189,000 feet rotary and diamond drill holes and developed 79,000 feet of shafts, drifts, and cross-cuts. Underground development suspended in 1982 and workings were allowed to flood in August 1984. By 1991 drilling and development work had resumed. Proposed that this deposit be mined by block caving. Reserve-Resource is sulfide; leachable. 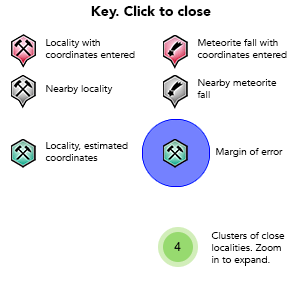 ; Total resource ore contains 0.003 to 0.009% Mo. The Safford mine includes two copper deposits that have oxide mineralization overlaying primary copper sulfide mineralization. 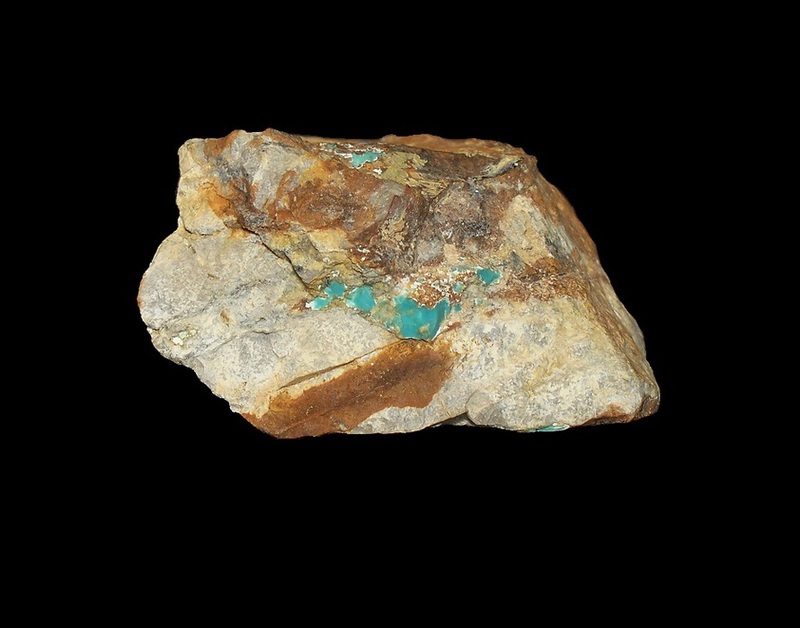 The predominant oxide copper minerals are chrysocolla and copper-bearing iron oxides with the predominant copper sulfide material being chalcopyrite. 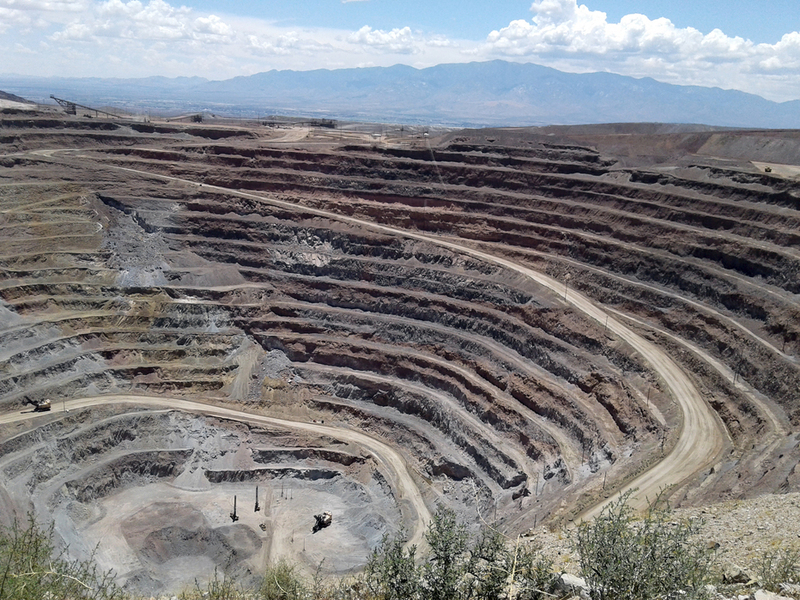 Safford is a mine-for-leach operation and produces copper cathodes. The operation consists of two open pits feeding a crushing facility with a capacity of 103,000 metric tons-per-day. The crushed ore is delivered to leach pads by a series of overland and portable conveyors. Leach solutions feed a solution extraction/electrowinning (SX/EW) facility. The current Safford mine has been in operation since 2007, with full production beginning in 2008. Reference: MRDS database Dep. ID #10096999, MRDS ID #M001628. Robinson, R.F. and Cook, A. (1966) Safford Copper Deposit, Lone Star Mining District, Graham County, Arizona, in: Titley, S.R. and Hicks, C., Geology of the Porphyry Copper Deposits, Southwestern North America: Tucson, University of Arizona Press: 250-266. Pay Dirt (1973) Phelps Dodge Evaluating Test Results at Safford, No. 412 (10/29/73): 24. Mining Record (1974) Phelps Dodge to Spend $30 Million at Arizona Copper Mine: 85(7) (2/13/74). World Mining (1974) Phelps Dodge Accelerates Safford Underground Development, (May, 1974): 27(5). Pay Dirt (1975) Phelps Dodge Okays More Development at Safford, No. 416 (2/25/75): 3. Pay Dirt (1975) Cities Service Joins Hunt for Safford Area Copper, No. 435 (Sep 22, 75): 52. Skillings, David N., Jr. (1975) Phelps Dodge Corp's Safford Copper Project, Skillings Mining Review: 64(8) (2/22/75): 1, 6. Dunn, P.G. (1978) Geologic structure of the Safford district, Arizona, in Jenney, J.P., and Hauck, H.R., eds., Proceedings of the Porphyry Copper Symposium, Tucson, Arizona, March 18-20, 1976: Arizona Geological Society Digest: 11: 9-15. Greeley (1978) Arizona Department of Mineral Resources Special Report #2. U.S. Bureau of Land Management Mining Claims Lead File #4003 (Jul, 1980). Eastern Arizona Courier (1981) Mine Cut-Back Announced, Aug 26, 1981. Langton, J.M. and S.A. Williams (1982) Structural, Petrological and Mineralogical Controls for the Dos Pobres Orebody, in Advances in Geology of the Porphyry Copper Deposits, edited by Titley, S.R. Tucson, University of Arizona Press: 335-352. U.S. Bureau of Land Management Mining District Sheets 815 & 816. Arizona Department of Mineral Resources Greater Arrowhead group file. Arizona Department of Mineral Resources Phelps Dodge Corp. (Safford Branch), active file. Arizona Department of Mineral Resources Superior Safford property file. MRDS database Dep. ID #10096999, MRDS ID #M001628; and Dep. ID #10161266, MAS ID #0040090227; and Dep. ID #10282581, MAS ID #0040090004.